Women were gaining access to higher education and it was easier to train in ceramics. 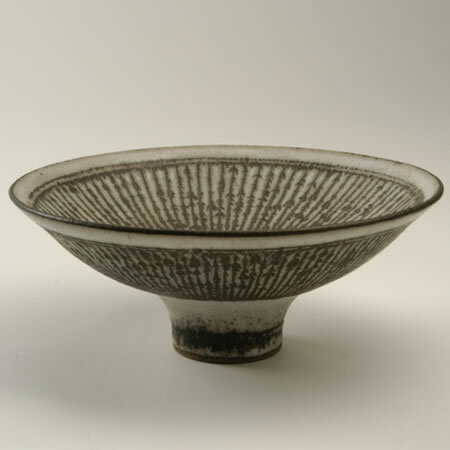 The huge impact of Bernard Leach and his ideas and philosophies supported by A Potter’s Book, first published in 1940 but running to many editions, dominated the field. Many women espoused throwing, stoneware and oriental-inspired glazes and decoration – but, by and large, they were not among the leading exponents. Bernard’s third wife Janet Leach (1918-1997) settled in Britain after 1955 and made her mark in this area. 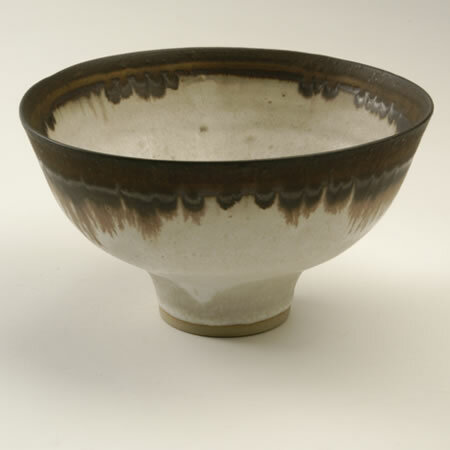 However the most noted female potter was Lucie Rie (1902-1995) who came to Britain as a refugee from Austria in 1938. Her cool modernist work emphasising organic form and texture presented an alternative to the Leach tradition. Aspects of this approach are reflected in work from the 1970s when a number of British ceramic artists, predominantly women, developed porcelain to create delicate small-scale sculptural forms.